“One of the menu’s standout dishes was the agedashi XO turnip cake with flaky smoked akule and bits of papaya in an interesting ti leaf broth. The cake had the consistency of tofu, with a spicy XO kick. My husband said he could eat this all day, every day." "Chef Kevin Lee is a cerebral chef. You could imagine him as a professor—instead he puts his brain power into his food. On his plates is a restrained drama. An alumnus of such lauded New York restaurants as Dovetail and the late, great Tabla, he can pull flavor out of shiitake mushrooms like nobody’s business." PAI “opened this June in Harbor Court tower and has blossomed into Honolulu's new best culinary hotspot by fusing several international cuisines and showing its guests a good time in its wood-paneled space. Flavors from around the world dominate the tightly edited tasting menus at PAI -- think truffles from Australia on a Japanese egg custard, washed down with perfectly paired French Champagne." "Perhaps more importantly, however, dining out, especially at this level, should be a surprising experience. And that surprise is one of my primary drivers for dining out. It is, after all, what makes an excellent meal a truly memorable one. 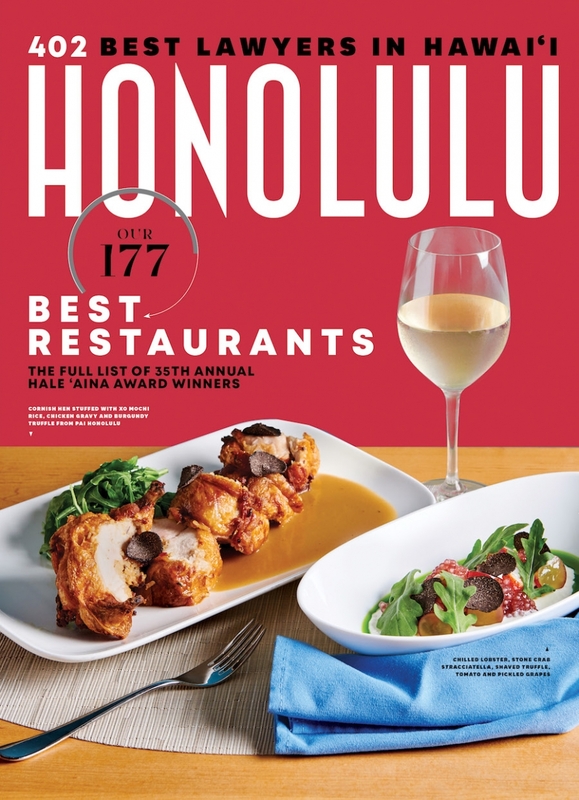 And I’m happy to say that PAI Honolulu excelled here as well. ."
"Dinner at PAI is equally imaginative, with influences from across the globe like in New Zealand king salmon covered in chermoula to a Singapore chili crab risotto."